Heart disease in dogs is common. Dogs with heart disease and heart failure may cough, tire easily, and have a loss of appetite. Learn to recognize the signs of heart problems in dogs, various causes, diagnostic and treatment options, and how to manage your heart patient dog at home. Heart disease is dogs is commonly encountered. There are many potential causes of canine heart disease and, depending on the severity of the disease, any form of heart disease can lead to heart failure. Signs of heartworm disease are caused by damage to the heart and blood vessels as a result of the heartworms living in them. In addition, the body's attempt to rid itself of the worms results in chronic immune stimulation, which further complicates the disease. There are many different drugs that are used to treat heart disease and heart failure in dogs and cats. The medications chosen will depend on the type of heart disease present, the overall health of your dog or cat, and the severity of the heart disease. 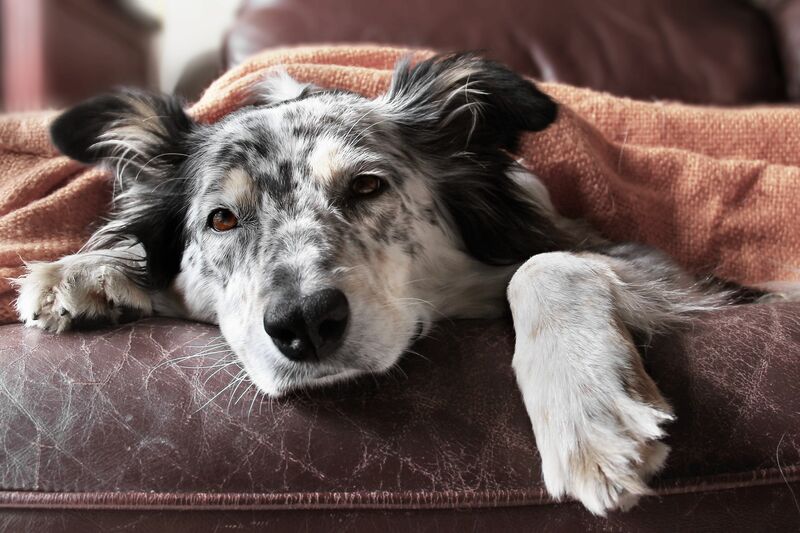 Dogs that have heart disease need special care and monitoring at home. Proper care and monitoring of your dog at home can help delay the onset of heart failure and help alert you if your pet's condition worsens. Is Heart Disease the Same as Heart Failure? Typically, the normal dog heart makes a characteristic "lub-dub" sound as the heart beats. When a heart murmur is present, there will be an abnormal whooshing or swishing noise made during the course of the beat, rather than a crisp "lub-dub" sound. One of the most common types of heart disease seen in dogs is degenerative valvular disease, where the heart valves fail, causing blood flow to back up. It is estimated that degenerative valve disease accounts for approximately 75% of all heart disease in dogs. Learn about heart anatomy, valve function and about the different types of valvular heart disease in this article. Proper diagnosis of any illness begins with a thorough physical examination and history, although other testing may be required for a definitive diagnosis. Dogs diagnosed with degenerative heart valve disease need to monitored for progress or worsening of the disease. While your veterinarian will want to continue to monitor your dog with periodic examinations and radiographs of the chest, you should also monitor your dog at home. Currently, there are no drugs available that can stop the progress of the heart disease. Some veterinarians feel that some of the medications available can slow the progress of ​the disease. However, in most cases, the primary reason for treatment is to control the signs of congestive heart failure. Heart disease in dogs is a common complaint. The most common cause of canine heart disease is degeneration of the valves within the heart. The valve that is most commonly affected is the mitral valve. The mitral valve is the valve that is on the left side of the heart. Degenerative valve disease in dogs accounts for approximately 75% of all cases of heart disease. While disease of the mitral valve (the valve located on the left side of the heart between the atrium and the ventricle) is the most common form of valvular disease in dogs, disease of the tricuspid valve is sometimes seen as well. Dilated cardiomyopathy essentially means that the muscle of the heart is diseased. In dogs with dilated cardiomyopathy, the heart is unable to contract effectively, which results in the heart being unable to pump the blood normally through the body. One of the most common causes of dilated cardiomyopathy is a genetic mutation. As a result, screening a dog who belongs to a high-risk breed is often desirable. The process is not as simple as it might sound, since evidence of the disease may not show up until later in life. Dilated cardiomyopathy (DCM) in dogs is by definition a disease of the muscle of the heart. Essentially, the muscle of the ventricle of the heart becomes weakened and is not able to contract normally. This inability to contract eventually leads to heart failure. Some breeds of dogs are more prone to have dilated cardiomyopathy than other breeds. Dietary deficiencies, drugs, and infectious diseases are also possible causes of this condition. There are several medications that are regularly used to treat dogs suffering from heart disease and/or heart disease as a result of dilated cardiomyopathy. The prognosis for dogs diagnosed with dilated cardiomyopathy depends on many different factors. These factors include the breed of dog, the specific type of dilated cardiomyopathy that is involved and the severity of existing clinical signs.